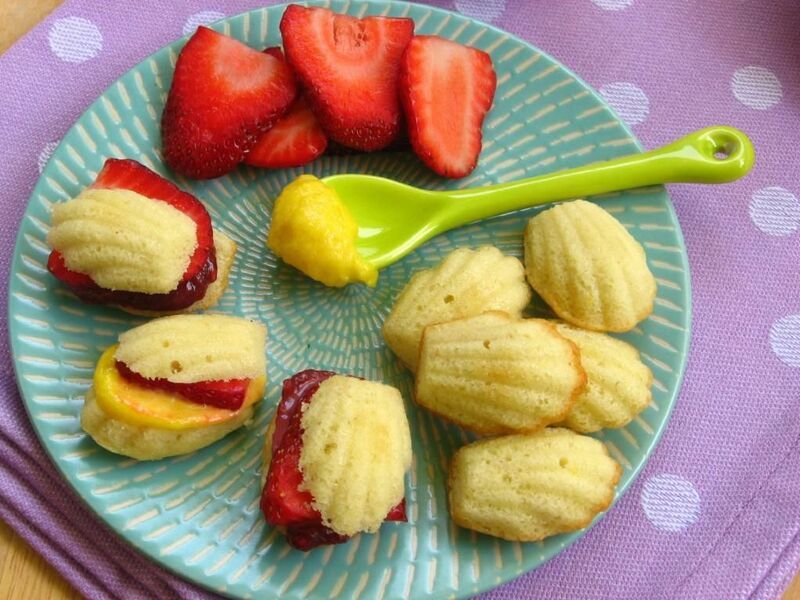 Lemon Madeleines with Mango and Raspberry Curd — and a chance to win a mixer! I know what summer looks like. It looks like trees weighed down with heavy cascades of leaves, thunderheads gathering solemnly in evening heat, steam rising off pavement. Summer sounds like the persistent hum of cicadas, wind rushing through the woods behind my apartment. Summer smells like jasmine, gardenias, and bushels and bushels of honeysuckle. Summer feels like bearing the burden of the sun, carrying its winter secrets on new summer skin . . . But what does summer taste like? I think it must taste like mango curd, tropical and cool and sweet on your tongue. And of course, it tastes like lemon: fresh and bright. 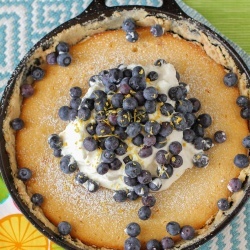 Don’t forget ripe, lush berries, and oh, maybe some freshly whipped cream piled high on top. 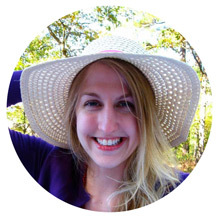 The folks at beso.com want to know what you think summer tastes like, and it’s worth a KitchenAid mixer to them! They’re currently holding a Baking Up Summer Sweets contest in which you can tell them about your favorite summer recipe for a chance to win. Given my own summer tastes, I’m entering beso.com’s contest with a recipe that’s mangoy, lemony, berry-y, creamy . . . full of summer goodness. And since I recently won a mini-madeleine pan from Shortbread NYC, of course it had to involve madeleines! Hence, lemon madeleines with mango and raspberry curd were born. These lemony bites are the perfect summer treat. I served them with fresh, sliced strawberries. They were light, bright, and so tiny — perfect for sitting on a warm patio in the evening and nibbling one-by-one. Also, I don’t know about you, but I’m a dipper. I love dipping sauces and creams. Dipping each of these golden hunks into various curds and cream was not only delicious, but a fun experience too! Just a note about the texture of the madeleines, though: these were a bit cakey and only had a slight outer shell just after baking, which may displease die-hard madeleine lovers. I’m not sure if it was my silicone pan or the recipe. Nevertheless, I enjoyed the texture. Speaking of KitchenAid mixers, you will never believe what I got for my birthday. My family all chipped in and bought me the most gorgeous silver professional KitchenAid stand mixer in the world! Bowl-lift, 5 quart bowl, and it came complete with a complimentary KitchenAid timer, four prep bowls, and a free attachment. To say I was shocked would be an understatement. Summer in this house is gonna sound like a whole lotta mixin’ this year! So what would I do with that pretty mixer beso.com is giving away, were I to win? My mama’s mixer is looking a little beat up, so I’m thinking it would be a good belated Mothers’ Day gift. Here’s hoping! 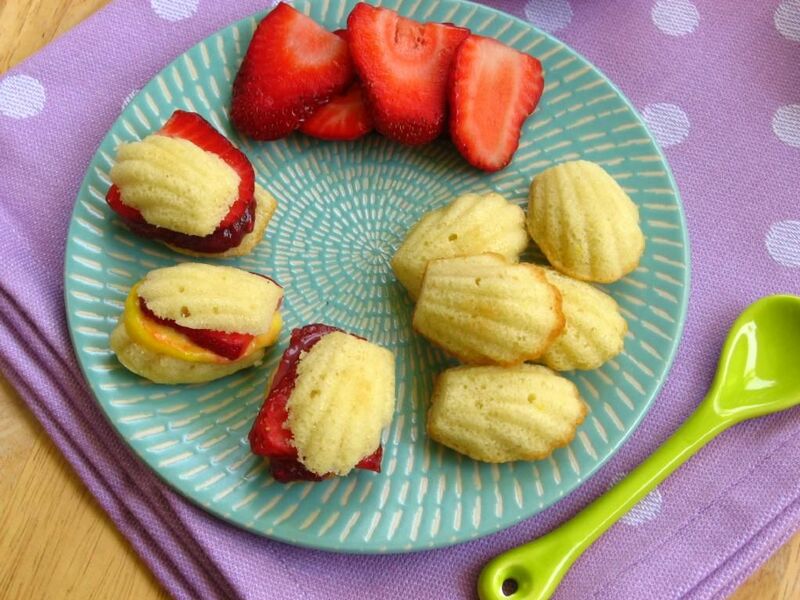 Mix up your own summer treat and enter to win, but don’t forget to mix up some of these madeleines as well! 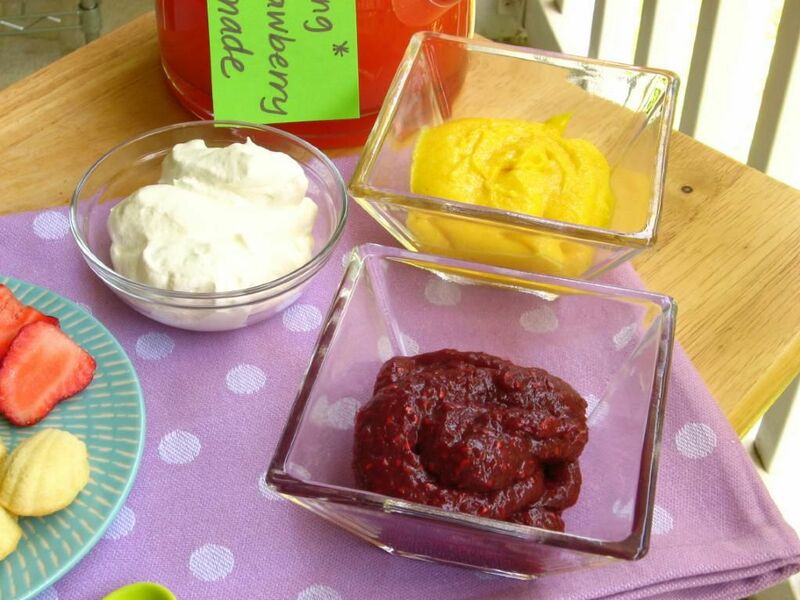 Make mango curd, raspberry curd, or both! You’ll love every summery bite. Make madeleine batter: First, melt the butter and allow it to cool while you make the batter. In a small bowl place the flour, baking powder and salt and whisk until well blended. In the bowl of your electric mixer, beat the eggs and sugar at medium-high speed until the mixture has tripled in volume and forms a thick ribbon when the beaters are lifted (about 5 minutes). Add the vanilla and lemon extracts and beat to combine. While batter is refrigerating, make mango curd: Puree mango, sugar, lime/lemon juice and salt in processor, scraping down sides of work bowl occasionally. Add yolks; puree 15 seconds longer. Strain through sieve set over large metal bowl, pressing on solids with back of spatula to release as much puree as possible. Discard solids in sieve. Set metal bowl over saucepan of simmering water (do not allow bottom of bowl to touch water); whisk puree until thickened and thermometer registers 170°F., about 10 minutes. Remove from over water. Whisk in butter 1 piece at a time. Cover with plastic wrap (directly on the curd to prevent a skin from forming) and refrigerate for several hours. Note: Freeze excess for up to two months. 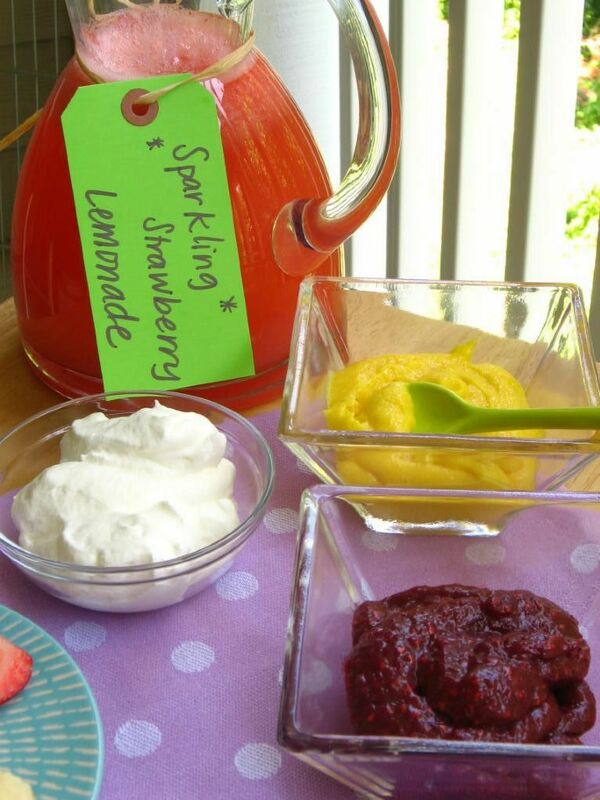 Make raspberry curd: Melt the butter in a large saucepan over medium heat. Add the raspberries, egg yolks, sugar, and salt and cook, mashing the berries and stirring frequently at first and them constantly at the end, until thickened, about 10 minutes (this took longer for me — about 15+). Pour the mixture through a coarse strainer set over a bowl, pressing hard on the solids to extract as much liquid as possible. Cool to room temperature; the curd will continue to thicken as it cools. Stir in lemon juice to taste. Refrigerate. Note: freeze excess for up to 1 month. Bake the madeleines for 11 to 13 minutes, until the edges are golden brown and the centers spring back when lightly touched. Note: If you make miniature madeleines, reduce the baking time to about 7-9 minutes. Do not overbake these cookies or they will be dry. Remove the pans from the oven and rap each pan sharply against a countertop to release the madeleines. Transfer the madeleines, smooth sides down, to wire racks to cool. While they cool, make whipped cream by mixing cream and sugar together until they reach loose whipped cream consistency. Serve madeleines with curds and cream the same day for best taste, or store them in an airtight container at room temperature for 2 to 3 days or frozen, well wrapped, for up to 1 month. P.S. 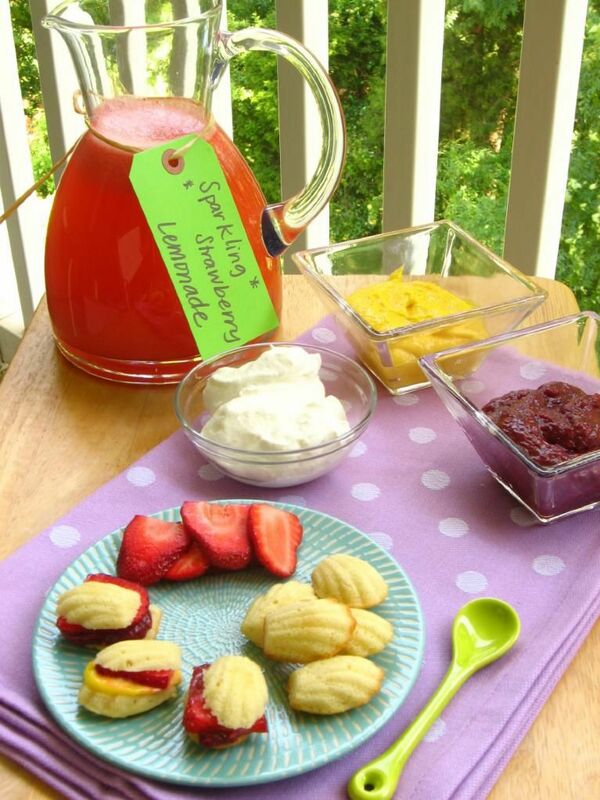 – Wondering about that refreshing-looking pitcher of sparkling strawberry lemonade? That summer recipe is coming up soon! P.S. 2 – My roommate texted me today from her visit to her home state of New York. It snowed there today. Yikes! Buffalo, summer is coming soon, just hang on! 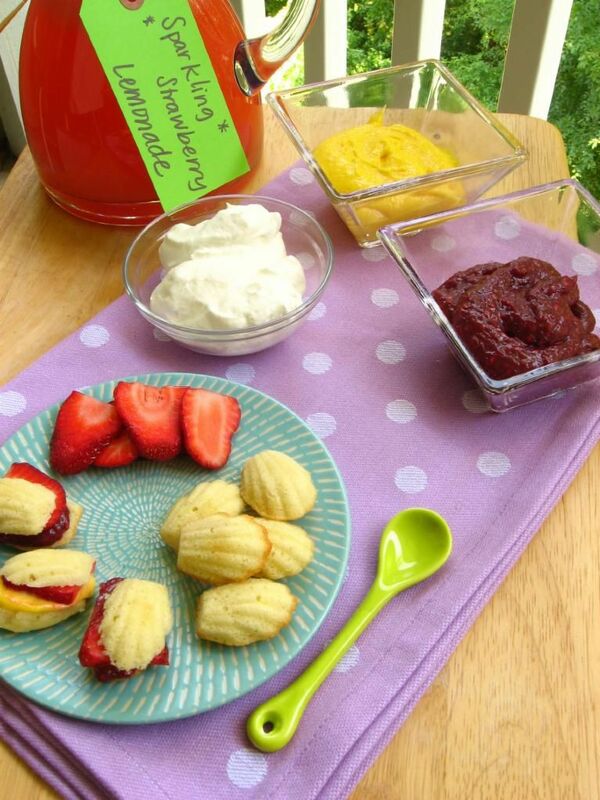 15 Comments on Lemon Madeleines with Mango and Raspberry Curd — and a chance to win a mixer! Those look yummy! I love me some lemon and some strawberry. I too am a dipper. Good luck with the mixer contest!!! I lived in NY for the last 5 years and the snow is no fun! We were in the Syracuse area. I sure don’t miss that and I’m sure you don’t either! This certainly says summer to me! They look so refreshing and colorful. If voting were allowed, you’d get my vote! These tropical fruits definitely scream summer! Another summer favorite of mine is caprese salad. Something about juicy sweet tomatoes and basil brings me back to being an 8 year old drenched in pool water and completely tan. Gotta love that. I almost bought that plate… and that little spoon! I refrained… but I did finally buy that rectangular tart pan so hopefully you’ll see a fabulous tart from me soon. You come up with the cutest ideas. This make me so ready for summer already! I have to agree – summery and they look so delicious. And happy belated Mother’s Day – sounds like you made out well 🙂 Thanks for the post as always. Hi Sandra! It was 1 large mango cut into cubes, or 2 smaller ones. 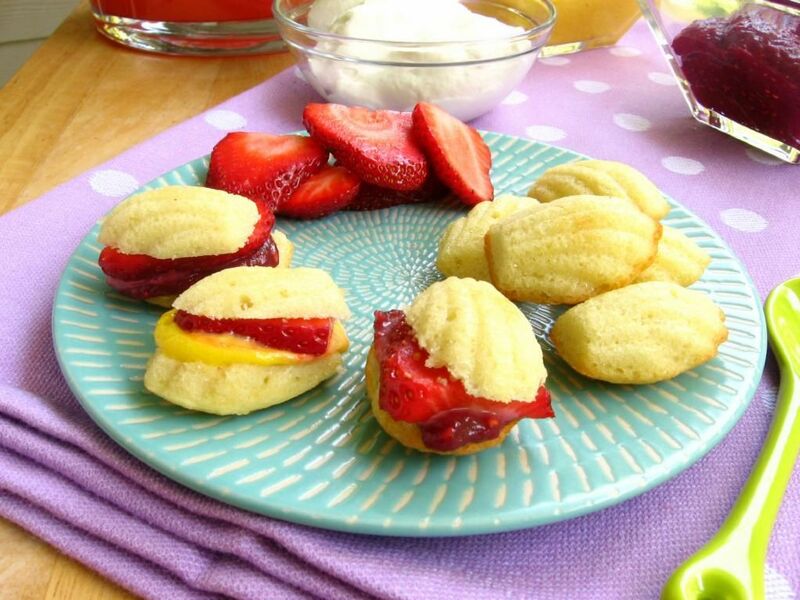 4Pingbacks & Trackbacks on Lemon Madeleines with Mango and Raspberry Curd — and a chance to win a mixer!